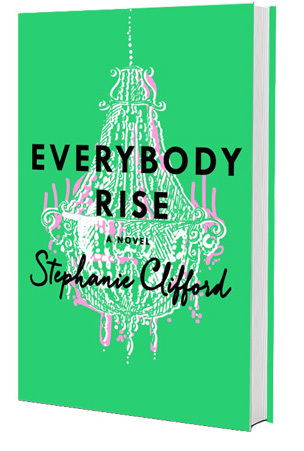 The Debutante Ball is excited to welcome guest Stephanie Clifford, author of instant NY Times Bestseller EVERYBODY RISE, a book about fitting in and figuring out who you are. It follows a 26-year-old from Maryland who moves to New York, hasn’t quite found her place, and thinks she’s discovered it when she gets a job at a social-networking site aimed at the elite. She’s suddenly in a promised land of Adirondack camps and Upper East Side parties, and begins lying. As her lies get bigger, she reckons with class, family, friendships, and the universal longing to fit in. I inhaled this book and you will too. Be sure to enter the giveaway for a complimentary copy. Now sit back and enjoy learning how Stephanie managed to write such a bestseller while working for the New York Times and raising her son. I always hated mornings before I started writing. I was one of those people who’d happily sleep until 2 p.m. But when I began writing the book, because I work full-time, mornings were the only time I had to do it, so I’d write from 6 to 8 a.m. every day. I came to find those early mornings so peaceful – the sun just coming up, birds starting to twitter, and utter quiet in my neighborhood. I’d still happily sleep ‘til noon if I could, but I have a new appreciation for mornings! Heights! I have to look away even if someone’s doing something high up on TV – Amazing Race is near-impossible for me to watch at times. It’s interesting having, essentially, two jobs (three if you count being a mom – I have a two-year-old) that are so similar and so different. The Times job and the novel writing both require typing on a laptop, choosing words, picking out phrases. But the Times work is done under huge time pressure: often when a story breaks, we have to file a few paragraphs within minutes. A regular daily story, you might spend half the day reporting and an hour or two writing. In being a reporter, though, you get these glimpses of life you would never otherwise see. For instance, I met a man at prison the day he was getting out after more than 28 years, for a murder he says he never committed, and the evidence is pretty strong that he didn’t do it. Spending those hours with him was incredible. We went to a diner near the prison, and he hadn’t used ceramic plates in 28 years, nor a metal fork. He hadn’t chewed gum, as it’s not allowed in prison. He was overwhelmed by how bright and loud the diner was – his sensory perception had changed inside. Opportunities like that are rare and moving. Writing the novel, by contrast, I did at my pace. It took me more than five years of that early-morning writing, but I was able to go slowly, to undo things that weren’t working, and to consider structure and plot and character development in a way there’s not always time to do with daily news. Definitely, and it’s always surprising to see. One of the fun things about writing fiction is I get to be fictional, in a way that I obviously can’t with New York Times stories. Of course I drew from real life here and there, but it was so freeing to be able to throw out a character that wasn’t working, or to hand great lines to another character. It’s interesting – I learn a lot about friends when they say “Wasn’t Charlotte a version of me?” It tells me a lot about how my friends see themselves. When I moved to New York, I thought I would get a magazine job immediately and become one of those young creative people I saw in TV and novels: you know, living in the Village with my fabulous roommates, going to jazz clubs. It didn’t happen. I got turned down for pretty much every journalism job there was in New York, and for two years, I couldn’t get a full-time job. It was a difficult time for me – financially, of course, but also in terms of who I was and what I was worth. My confidence was shot. To get by, I took on freelance gig after freelance gig. One of the weirder ones was writing career guides, like “How to Become an Airline Pilot.” However, those strange jobs can have payoffs – I ended up using the office of that career-guide business as a model for the startup office that Evelyn works in in EVERYBODY RISE! GIVEAWAY: Comment on this post by Noon (EST) on Friday, September 25th to win a copy of EVERYBODY RISE (US only). Follow The Debutante Ball on Facebook and Twitter for extra entries—just mention that you did so in your comments. We’ll choose and contact the winner on Friday. Good luck! Stephanie Clifford is a Loeb-award winning reporter at the New York Times, where she has covered business, media and New York City. She is currently a Metro reporter covering federal and state courts in Brooklyn. She grew up in Seattle and lives in Brooklyn with her husband, son and two cats. EVERYBODY RISE, an instant New York Times bestseller, is her first book. 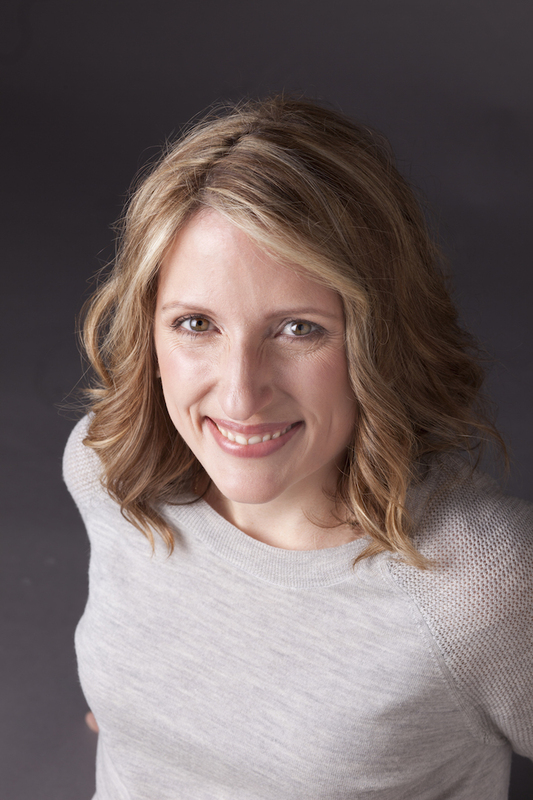 Connect with Stephanie on her website, Facebook page, Twitter, and Instagram. Your personal journey is a great example of hard work, patience, and passion coming together and paying off. A reminder that it rarely happens overnight. Looking forward to reading Everybody Rise! I’ve had my eye on this book, sounds great! I follow The Debutante Ball on Facebook and Twitter. Welcome to the Deb Ball Stephanie! We share many things in common: early (early) morning writing (you should join us at #5amwritersclub on Twitter), freelance journalist, writer mom 🙂 Always great to hear how other writers are juggling all the balls, and what led them to their novels. Best of luck with everything! It’s always inspiring to hear about a person’s creative journey and how they carve out time in a chaotic world of raising children and working full time to fulfill their creative passions and find personal fulfillment. I look forward to reading this book! LOVE the cover! I never really thought about a person’s sensory perception being more sensitive after having served time in prison. I guess it makes sense if one has been in prison for many years. Living in New York would be an experience unlike many places. I would love to read Everybody Rise. Loved the interview! I can’t wait to read the book. I follow via Facebook and Twitter. I just bought this book. It’s next up on the bedside table stack-o’-books, and I can’t wait to start it. I’m always very impressed by people like you, Stephanie, who can be so disciplined about their writing, carving out the time in what has to be a very chaotic life with reporting and parenting. You deserve all the success you get!! Thanks for this awesome post and the chance to win! Obsessed with the cover of this book! Gorgeous! I wanted to comment on this post yesterday, but–of course–I was swamped with working on my own book & Saturday family obligations with my daughter. So, needless to say, I resonate so much with the triple work: parenting, novel writing, and university teaching. I guess it was quadruple, although I’ve dialed back on my freelance journalism to zero in on the novel. In contrast, I’ve always been a morning writer. Parenting has taught me to be able to write at night. Which I pretty much never used to do. “I’m too tired,” I used to say. Now, as a parent, I’m always tired. So nights after my kid is asleep I sometimes get a sleepy stolen hour to write. Hi Stephanie, Loved reading about how you got started writing in the mornings from6 a.m to 8 a.m. Its always been a peaceful, serenity, and creative time for me. I love the early mornings and seeing and hearing the birds is a great way to start the day. I also was reminded of my days when I was out of college living and working in Manhattan, those were such exciting days back in the 60’s! Now retired, I love to read, paint and find time to enjoy life with family and friends. Can’t wait to read your book! Would love to win , and will mention you and your book Everybody Rise, on Facebook, and Twitter. So glad you are a guest to the Debutante Ball! I’ve been hearing about this book everywhere! Can’t wait to read it. I keep reading ABOUT this book and would love to win a copy to READ! I’m late to the party but wanted to say how fascinated I am by the contrast of your two writing careers. Despite being under the same professional writing umbrella, both jobs seem to require very different skill sets. After reading this interview I want to know, is there anything you can’t do?? Looking forward to Everybody Rise…enjoyed your post! Wow! I’m excited to read Everybody Rise and exhausted imagining a day in your life.